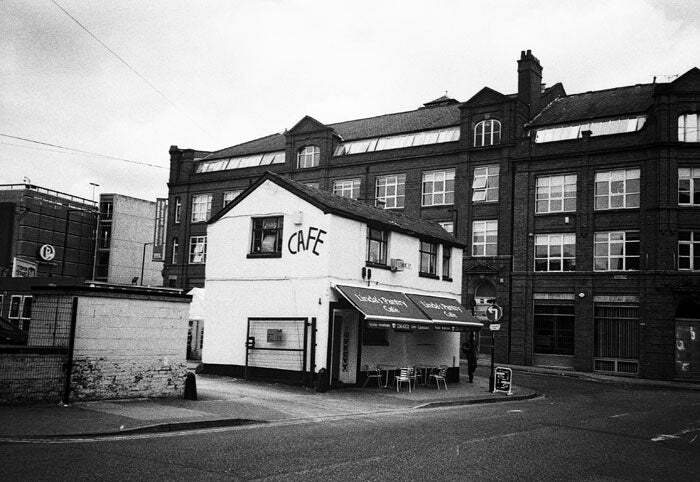 As you can see from the fine lettering on the side of this fine establishment, Linda’s Pantry isn’t a café — it’s a CAFE. This basically means it does every food combo imaginable. This can lead to decision-based-difficulty (DBD) but seeing as everything from here tastes good it doesn’t really matter what you go for. 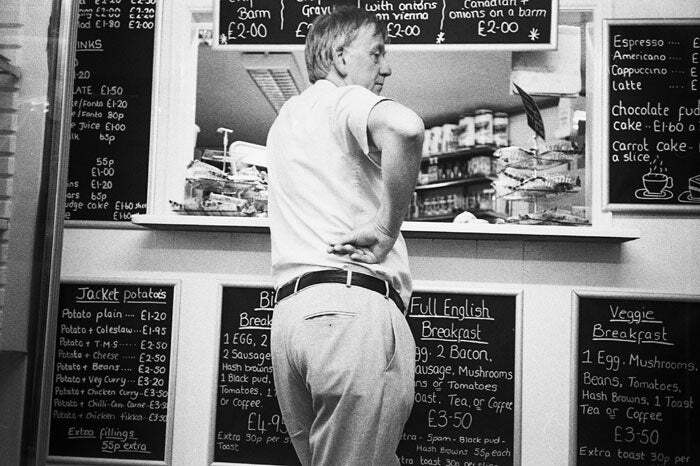 This sharp dressed man may look like he’s struggling to decide whether to order the veggie breakfast or the chocolate fudge cake, but he’s actually preparing himself for the particularly ornate hot dog he just ordered. This thing came with all the trimmings and made me feel slightly inferior with my lowly egg mayonnaise (and salad cream) barm. But enough of this, where’s Linda? Oh, there she is. 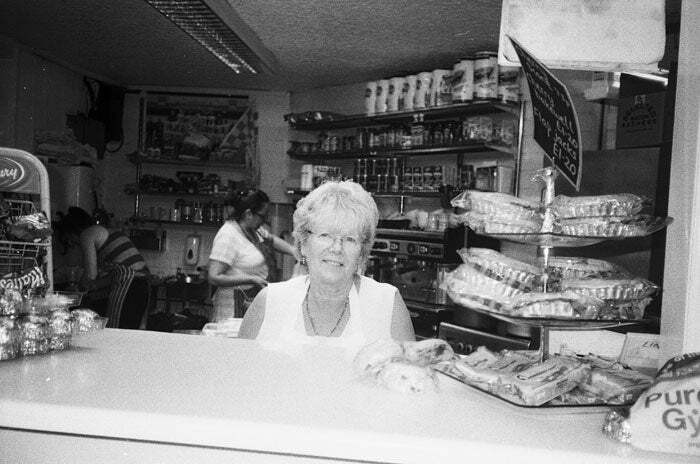 Whilst history buffs will be interested to hear that Linda’s been running this place for 25 years now, food fans will be more interested to see that there’s a good stack of Tunnock’s Teacakes to Linda’s right (our left). I’ve heard tales of doctors eating one of these a day, and although I don’t think that excuses my habit for snaffling a whole box of these in minutes, it does go to show chocolate-coated mallow on a biscuit-base can indeed be included in a balanced diet. RATING: Plenty of delectable options served with a smile, I give Linda’s Pantry five slices of buttered toast out of five.